Summit Ice Melt Systems has the most advanced technology and experience available to develop its roof ice melt systems. 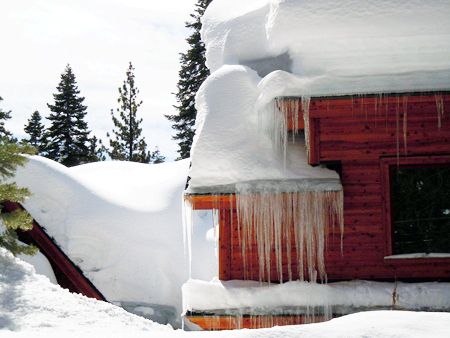 Our products are the culmination of more than FORTY years’ experience with ice dams in one of the toughest winter environments there is. World recognized experts in efficient heat transfer, roofers with 40 years experience in ice dam systems, along with precision in-house manufacturing, provide Summit with the know-how needed to develop the finest roof ice melt solutions available. Our products work. And they save you operating costs day after day. What better place is there to develop the best ice melt systems than in Placer County, California, home to Lake Tahoe? Placer County has the highest snowfall of any county in the continental United States. Codes require certain roofs to be engineered to support 545 lbs. per square foot snowload. Yes–per FOOT. Local ski area Squaw Valley logged 810″ of snowfall at mid-mountain over the 2010-2011 season. Big snows = Big ice dams. Big ice dams require effective solutions = Radiant Edge. Radiant Edge was developed in the snowiest county in the lower 49 states. Since Summit’s products perform well in this extreme environment, think how well they will work for you. We have studied and installed other ice melt systems. This site will show you why so much more energy is needed to operate their products despite efficiency claims. With rising energy costs, we understand the need to be “Green.” You can trust Summit delivers truly Green, energy-efficient, and money-saving ice melt solutions. Summit’s breakthrough products are so unique and advanced, they are patent pending. Click here to see how Summit Ice Melt Systems crushes the competition. 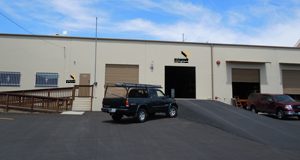 Summit owns and operates its own precision metal facility to fabricate components for the Radiant Edge Ice Melt System. We use Computer Numerically Controlled (CNC Touchscreen) metal folding technology and shearing machinery with tolerances to 0.004″ so our products can meet the industry’s strictest standards—our own. Exacting tolerances ensure superior heat transfer (See Rule #4) resulting in a more energy-efficient ice melt system. Summit is the ONLY MANUFACTURER of roof ice melt systems that fabricates its own components in-house. What better way is there to guarantee the highest level of quality control? Who do YOU want to design and manufacture your new roof ice melt system? Call Summit TODAY at 530-583-8888 to get your expertly customized ice melt system started.